Ask us for a quote based on the number of seats, the type of event and the duration of rental. 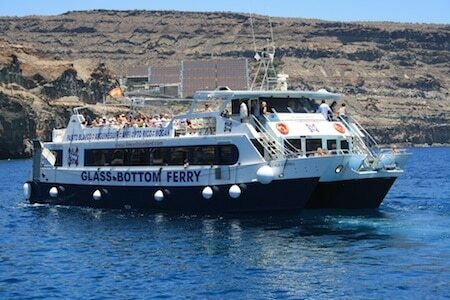 Rent a boat on Gran Canaria and enjoy an unforgettable day with family and friends. 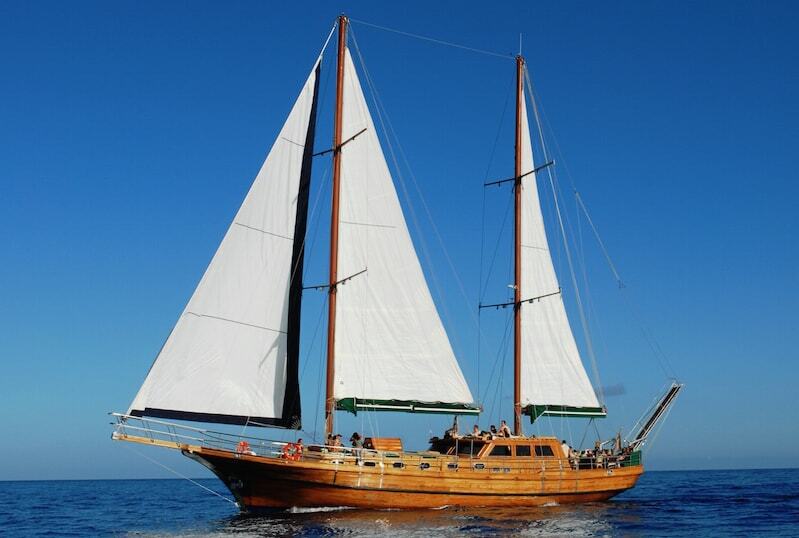 Choose between party boats, yachts, sailboats or fishing boats. Days of the tour: Tuesday, Wednesday, Thursday, Saturday and Sunday. 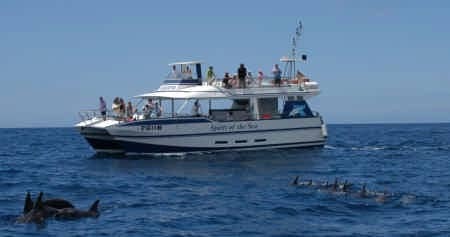 On 10:00 h and 12:30 h.
Admire the species of dolphins and whales that live in the Canaries on board of a comfortable Catamaran that was built specifically for this proposal. Days of the tour: Mondays, Wednesdays and Fridays: 10:00 h and 13:30 h. Summer schedule: Departure on Sunday too. 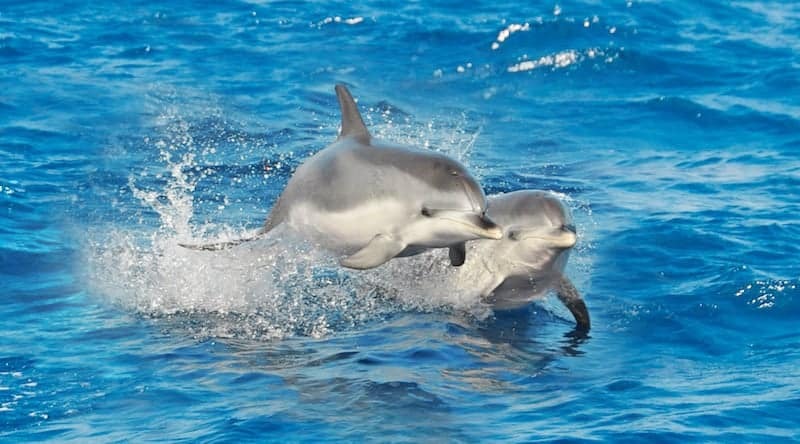 Admire the species of dolphins and whales that live in the Canaries on board of a comfortable Catamaran that was built specifically for this proposal. 2 hours boat trip. 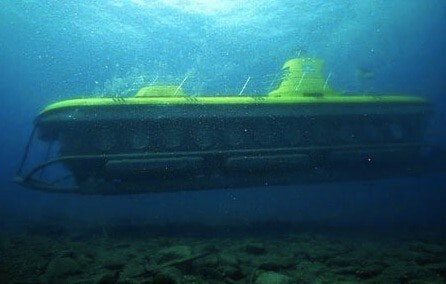 Days of the tour: Tuesdays, Thursdays and Saturdays: 10:00 h and 12:30 h .
Come directly to Mogan and experience an incredible tour on board of an authentic submarine, the Yellow Submarine. Days of the tour: Everyday at 10:00, 11:00, 12:00, 13:00, 14:00, 15:30, 16:20, 17:10. Days of the tour: Everyday at first thing in the morning, mid-morning and mid-day. Days of the tour: Monday - Saturday 9:00 am - 3:00 pm. July - August: Monday - Sunday 9:00 am - 3:00 pm and 3:00 pm - 8:00 pm. 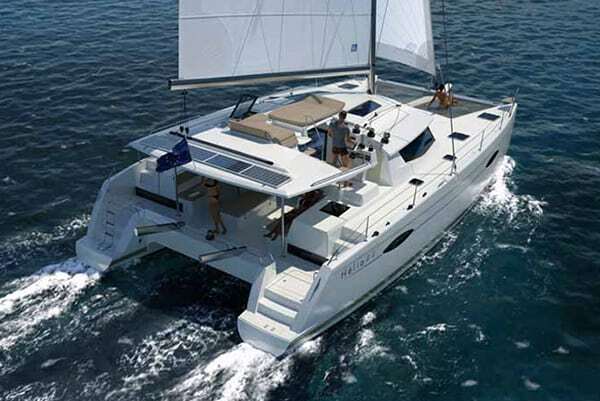 Enjoy one of the best boat excursions in Gran Canaria on this new and modern catamaran, specially designed to give you the best moments of your holiday on the island. 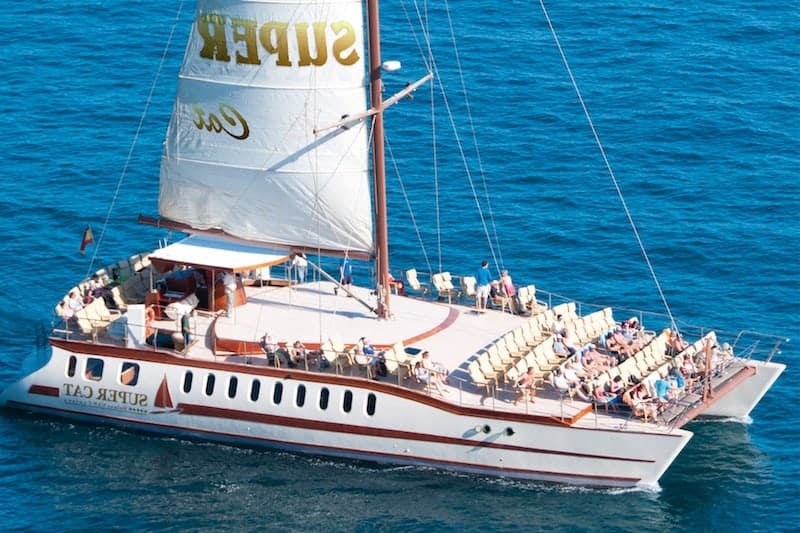 Enjoy a memorable experience on board the Blue Spirit catamaran in which you will sail along the coast of Gran Canaria, relax in the peaceful environment of the boat and have fun doing different activities when the boat is docked. Days of the tour: Monday, Wednesday, Friday: 10:30 h. July and August: every day. 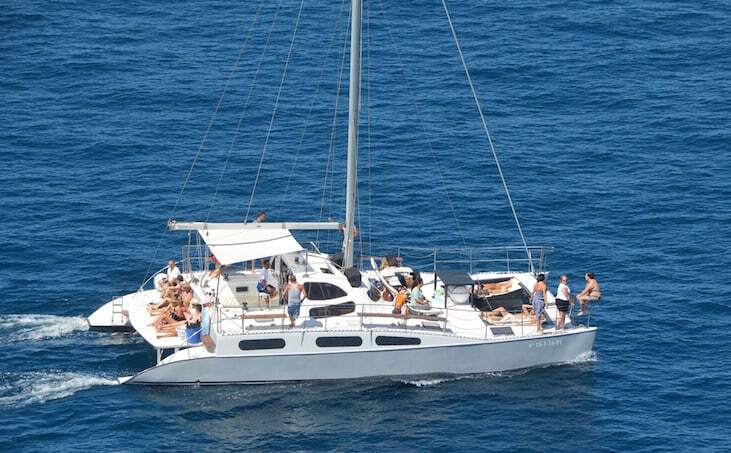 Enjoy a catamaran excursion from Puerto Rico to Güigüi, along the southern coast of Gran Canaria, on board this big catamaran. Tour days: Tuesday, Thursday and Saturday. From 12:30 h.
Tour days: Tuesday, Wednesday, Thursday, Friday and Sunday: 10:00 h.
Enjoy one of the best moments of your holiday in Gran Canaria during a relaxing coastal excursion to see the best sunset ever. 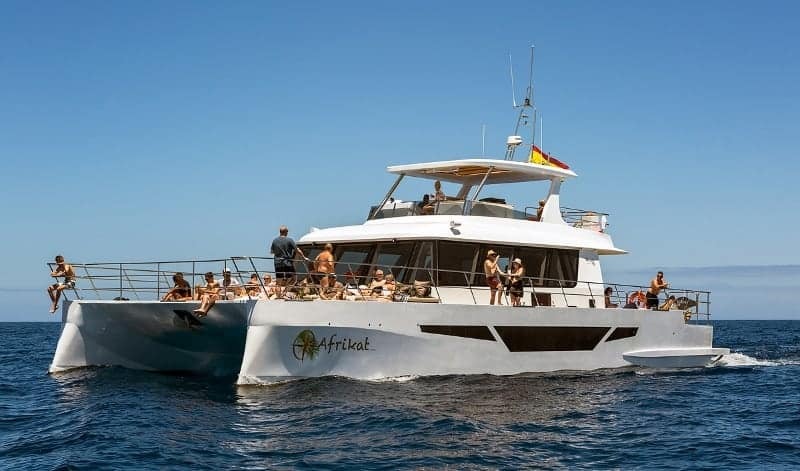 Tour days: Summer season (May to October) - from Tuesday to Sunday: 16:00 h. Winter season: Tuesday and Thursday 14:30 h.
Enjoy watching the sunset on the sea during your holiday in Gran Canaria on board this modern, comfortable and roomy catamaran. 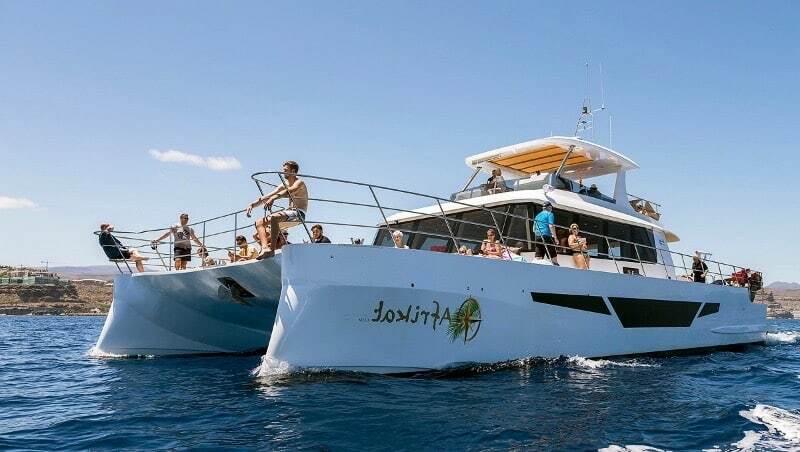 Tour days: Monday, Friday, Saturday and Sunday at 17:45 h.
Enjoy a boat excursion on one of Gran Canaria’s most modern and luxurious catamarans. Tour days: Everyday at 10:00 h. and 15:00 h.
Enjoy the best boat party of Gran Canaria with Pacha and Mtv on board of the Supercat. 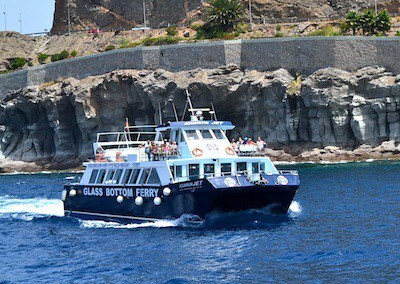 Party days: Tuesdays and Fridays at 3:30 h.
Enjoy a leisurely boat ride along the southeast coast of Gran Canaria, from Puerto de Arguineguin to Puerto de Mogan, passing through Anfi and Puerto Rico. 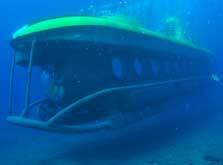 A submarine trip down to 20 metres deep in order to see a shipwreck and the marine life of southern Gran Canaria. 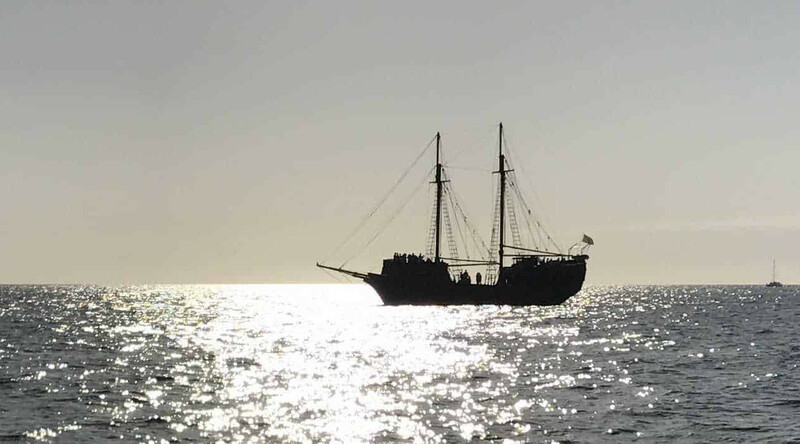 Pirate boat trips where you can choose to either spend a calm and familiar day exploring the coast of Gran Canaria, enjoy the sunset while listening to live music on the sea, or have fun at a party with a DJ on the boat. Boat trips to travel the southern coast of Gran Canaria from Arguinequín to Puerto de Mogán, stopping in Puerto Rico and Anfi. 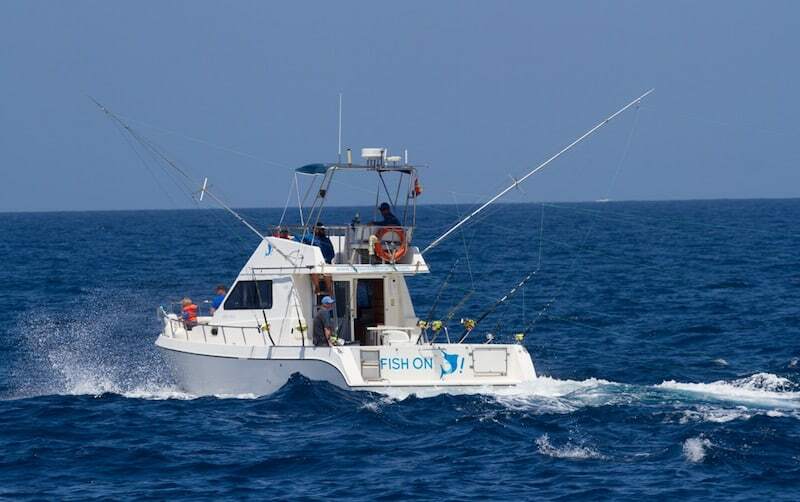 Participate in sport fishing to search for marlins and other fish. Other people that search for gran canaria things to do were interested in gran canaria excursions , sioux city gran canaria and buggy safari in the island.